An investigation into the feasibility of creating a geographical origin system resulting in greater co-operation and profitability of Australian olive oil growers: A case study involving Frantoio from the Fleurieu Peninsula (SA) and South East Queensland. has a specific quality, goodwill or other characteristic property, attributable to its geographical origin. European experience has shown that marketing advantage leading to higher prices in extra virgin olive oils can be achieved by emphasising the healthfulness and taste differences attributable to the region that the olive was grown. A pilot-study involving a collaborative effort between olive growers from the Fleurieu Peninsula region of South Australia and South East Queensland using the Frantoio variety showed that the oils from the two regions, harvested at the same ripeness, and processed identically could be reliably differentiated (>90% accuracy) by knowing the relative proportions of the types of polyphenols in the oils. Region also strongly influenced the concentrations of the important bioactive compounds α-tocopherol and squalene. A semi-qualitative sensory assessment of commercial Frantoio oils from the two regions was conducted by participating growers using a new rapid and intuitive sensory method (CATA) which is suited to the resource and expertise levels of a typical grower group wishing to taste profile their oils for the purposes of determining denomination of origin status. The results suggested that the oils from the two pilot regions while displaying commonality in some taste and flavour attributes, appeared to have other taste qualities that could be used to distinguish them. Extra virgin olive oil (EVOO) is the natural ‘oily fruit juice’ that is extracted from fresh olives using a mechanical process without further processing. Consequently, every EVOO has a unique natural chemistry and taste profile, both of which can be directly attributed to the olive variety, where it is grown, and how the olives were processed into oil. European olive oil growers have profited by promoting this uniqueness particularly by emphasising the geographical origin of their product using the Protected Denomination of Origin (PDO) and Protected Geographical indication (PGI) systems. A review of the literature covering agricultural products in general found that these systems (that can be broadly called ‘Designation of Origin (DO)) added between 3% and 40% of value depending on product type, with a premium of 20-25% being typical [1,2]. In the specific case of EVOO, growers from three DO regions in Portugal attained 24-30% price premiums over comparative oils that were blended with oils from other regions (3). Could a Designation of Origin (DO) system be justified in an Australian context? As a first step, we explored whether there were sufficient differences in the natural chemistry and taste profile of olive oils to meet the underlying principle for a DO. That is, do oils from specific regions have ‘characteristic properties’ that can be used to differentiate them? To this end, a collaborative study between olive growers from the Fleurieu Peninsula (FLE) of South Australia and those from South East Queensland (SEQ) was conducted. The study focused on the variety Frantoio as it is the major variety in the Fleurieu region accounting for 65% of the total crush in the region in 20174 . Furthermore, of the oils submitted to varietal class of the 2017 Fleurieu regional olive oil competition, the majority (56%) were Frantoio . Similarly, 45% of grower entries from SEQ in the Australian National EVOO competition in the period (2001-2014) listed Frantoio or its synonym Paragon either as a single variety or as a component of a blend suggesting that the variety is also widely planted in SEQ  . 1- 2 kg of fresh green olives variety Frantoio were provided by growers and were processed into oil between 1 and 4 days of harvesting. Those olives delayed in processing were kept chilled (4-10 o C) prior to extraction. The olives were sorted to remove olives outside the ripeness specification or those that were bruised or otherwise deemed imperfect (Figure 1 shows a typical ripeness and quality of oils used in the study). After sorting, the olives were divided into two lots to allow replicate extractions. The olive lots were warmed for 10 minutes in a water bath at 35oC, ground into a paste (National Model MK-505ON Matsushita Electric, Japan) for 50 seconds, and malaxed using a semi commercial mixer (KitchenAid, Model 5KSM5, Michigan USA) (180 rpm, 60 mins, 28-35oC). A 50oC water bath was used to maintain paste temperature during malaxation. The paste was then centrifuged at 5,000 rpm for 20 mins, and the oil decantered off solids and water by manual pipetting. No processing aids or water were used during processing. Some participating growers also submitted commercial EVOO made from the same grove from which the olive samples were taken or provided olive samples of different varieties sourced from the same grove. While these were processed and analysed in the same way as the test samples (and the results extended to the participating growers), the data from these oils were not included in the comparison of the two regions. The concentrations of 23 individual phenolic compounds representing the spectrum of phenolic types found in EVOO (secoiridoids, phenolic alcohols, phenolic acids, lignans and flavanones) were determined by high performance liquid chromatography (Method: IOC/T.20/No. 29). 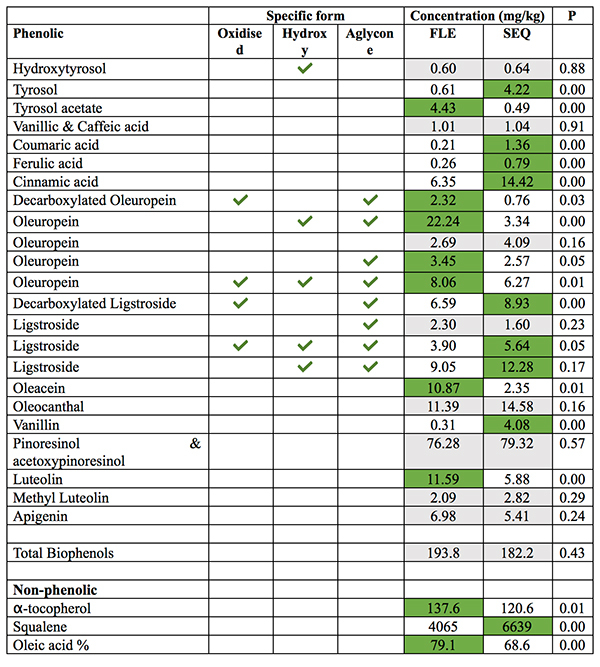 Concentrations of other bioactive compounds – squalene (Method: MOSMP19), α-tocopherol (Method: ISO9936) and the percentage of oleic acid as part of a fatty acid profile (Method: IOC/T.20/No. 33) were also determined. Two statistical methods were used to summarise the ability of the phenolic profile of the oils to distinguish them by region. Cluster analysis was used to group the oils based on the similarity of their phenolic profiles. The second approach used discriminant analysis to match the known regional origin of a subset of the oils to their phenolic profile, and this acquired ‘knowledge’ was then used to predict the origin of other oils based on their phenolic composition. Statistical analysis was conducted using Minitab V14.0. Figure 1 shows the similarities in the ‘polyphenol fingerprint’ of the Frantoio oils made in the same way but from olives sourced from the two pilot regions. In many instances samples were closely paired indicating that their phenolic profiles were more like each other than they were to the other samples. These ‘twins’ were in all cases oils made from replicate extractions from the same olives which provides confidence that the simple extraction method used was reproducible. Notably though, most of the oils made from olives sourced from one region were shown to be more like each other than a significant majority of oils produced from olives grown in the alternate region. The results of the discriminant analysis are shown in Table 1. Table 1: Classification of regional samples based on polyphenol profile using discriminant analysis. Diagonals show correct classification. Overall the region of origin was correctly predicted in 40 of the 44 oil samples (90.9%), further suggesting that polyphenol profile is a useful indicator of regional uniqueness in these extra virgin olive oils. The reason for this can be seen in Table 2 which shows the average concentrations of the different polyphenols. Of the 23 polyphenols measured, 15 were found to differ significantly between the two regions. Importantly, these 15 polyphenol types were represented in all the major families of polyphenols found in extra virgin olive oil (secoiridoids, phenolic alcohols, phenolic acids, lignans and flavanones) suggesting that regional differences are likely to only be ‘captured’ by knowing the broad phenolic profile of the oils. This is highlighted by the fact that despite over 2/3rds of the polyphenol types were significantly different and therefore likely to have contributed to regional differentiation, the concentration of total polyphenols did not differ significantly between the regions. Squalene, α-tocopherol and fatty acid profiles were also measured due to their influence on healthfulness, and that they may be affected by regionality. α-tocopherol is a compound with strong vitamin E activity and is found at much higher concentrations in olive oil compared with other edible oils and fats. It is a complex molecule with one part of it that acts as a strong radical scavenger (antioxidant), and the other part, being fat soluble, allows it to incorporate itself into cell membranes protecting them from oxidative damage . Squalene, a polyunsaturated triterpene, is the most abundant minor component in EVOO ranging up to 12g/kg which is around 50 times the average concentration (237 mg/kg) of total polyphenols in Australian EVOO. There is increasing evidence that squalene consumption plays a cardioprotective role through a variety of biological mechanisms . Unlike most other minor components, the factors affecting squalene content in EVOO are little known. Squalene content is known to be affected by olive maturity, being higher in oils made from green olives, and is also known to decrease significantly during bottle storage even when kept under ideal conditions . Both these reported factors were not in play in this study. α-tocopherol, squalene and fatty acid profiles differed significantly between oils made from the two pilot regions. α-tocopherol levels and the proportion of oleic acid were significantly higher in the FLE oils, and squalene levels and the proportion of saturated and polyunsaturated fatty acids were significantly higher in the SEQ oils. Notably, squalene concentrations were on average >50% higher in the SEQ oils (Figures 2 and 3, Table 2). α-tocopherol levels in Australian oils made from different varieties have previously been shown to differ due to growing season, olive ripeness and growing region . The fatty acid profile clearly showed a regional influence in this study which was consistent with the findings of others . The differences may be due to the hotness/coolness of the region, with cooler regions attaining higher levels of monounsaturated fatty acids and subsequent lower levels of saturated and/or polyunsaturated fatty acids. To our knowledge, regional effects on squalene concentration in EVOO have not previously been reported. The reasons for the significant influence of region on squalene concentration seen in this study requires further investigation. Five commercial Frantoio oils from each of the two pilot regions were assessed by applying a rapid sensory method known as Check All That Apply (CATA). This sensory method was introduced to the grower groups as it is an intuitive method that requires minimal training of tasters (even naïve consumers can be used) but achieves comparable results to traditional methods that require extensive taster training. The principle underlying CATA is simple. If a taster perceives a flavour/taste they check the character off a pre-determined list such as that found on ‘tasting wheels’. Counts of how many times a flavour is checked by tasters is used as a proxy of its intensity. The downside to this method is that the requirement for little or no taster screening or training, and the ease that data can be collected is traded off against the requirement for a greater number of tasters. For this reason, only qualitative data on the commercial oils could be obtained from the growers in this study. A qualitative assessment is as follows: The FLE oils were often described as being grassy and in some instances minty. The SEQ oils were similar to the FLE oils in that they were also grassy in flavour and had a similar level of bitterness and pungency. However, the SEQ oils were more often rated as being ‘sweeter’ and more ‘pine nut/almond meal like’ on the palate than were the FLE oils. 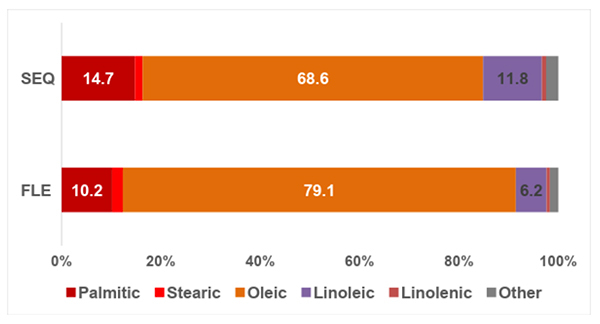 Figure 1: Similarity of EVOO samples based on phenolic profile. 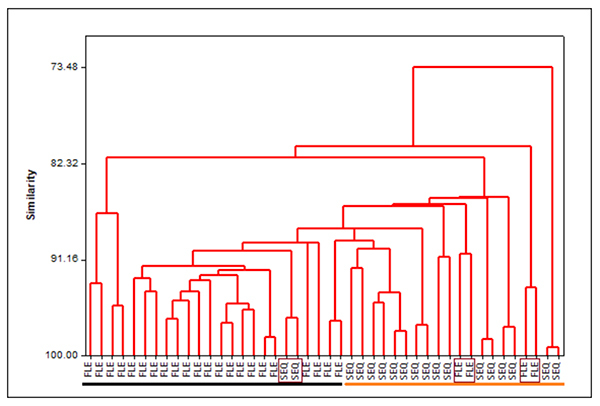 Underline bars suggest major classifications of similarity. Boxes indicate samples that are appear more like samples from the other pilot region. 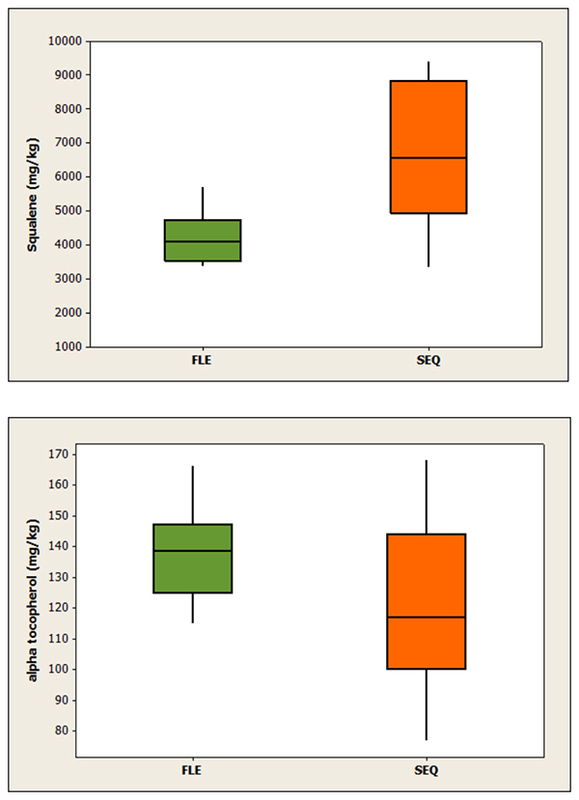 Figure 2: Summary of α-tocopherol and squalene levels by pilot region. The top and bottom of each box represents <75% and >25% of the samples respectively. The cross bar in each box equals the average concentration. ‘Spike bars’ show minimum and maximum concentrations. Figure 3: Average fatty acid profile by pilot region. Red bars = saturated fatty acids, Green bar = the monounsaturated fatty acid (oleic acid), Yellow/orange bars = polyunsaturated fatty acids. Grey bar = minor fatty acids. Table 2: Average concentrations of polyphenol compounds, α-tocopherol, squalene and % of oleic acid by pilot region. P indicates statistical significance (significant difference if P<0.05). Green highlight indicates that the average is significantly higher than for the other region. General discussion about the benefits and challenges of implementing a DO type system. The Australian Olive Association estimates that 94% of the 900 olive oil producers in Australia own less than 20 ha . It would be reasonable to assume that most of these would be planted on a single holding. 85% of the total exhibits entered in competitions with ‘single estate/provenance’ classes (Royal Adelaide 2016-17, Australian National 2010-2015), were entered in those classes further supporting that notion that most Australian olive growers produce olives on a single geographically defined holding and therefore could be eligible for a classification under a DO. In the European context, regional grower organisations have traditionally taken the coordinating role in defining and managing the DO. These include 1) defining production methods, oil composition and sensory parameters, 2) involvement in research and development directions, and 3) communicating the benefits of the regional DO ‘brand’ to consumers. Empowering growers with these necessary skills and knowledge at a regional level is a prerequisite for success. The Australian olive industry has identified that industry profitability is contingent upon a strong knowledge base of its growers which is consistent with this requirement. Practical guidelines that describe how to administer a DO are now available . A further benefit is that by defining a DO, regional grower groups necessarily take ownership of what makes their region unique and are therefore invested in promoting how that can benefit consumers of their regional product. Growers of products that display regional identity in the EU have found that collaboration and cooperation are vital to maintaining a high-quality perception of an entire region leading to increased prices for all producers within the region16. Lastly, any form of geographic indicator is a form of collective intellectual property rights accessible to any producer of the area that complies with the requirements. Quality certification schemes always invoke fixed costs of compliance on those who take part and are potential beneficiaries. Such costs can have an asymmetric bearing on small producers as the cost of measurement and compliance are the same regardless of volume produced. Under the scenario suggested by the results of this study, the compositional and organoleptic assessment would cost approximately $400-500. Based on this estimate, an average Australian producer at 11K litres 14 would expect to incur a cost of 4c per litre for determination of DO status. 1 Tragear, A., Arfini, F., Belliti, G. and Marescotti, A. (2007) Regional foods and rural development: The role of product qualification. J. Rural Stud., 23, 12-22. 2 Requillart, V. (2007) On the economics of geographical indications in the EU. Presented at ‘Geographical Indications, country of origin and collective brands’ Workshop. Tolouse, France, June 14-15, 2007. 3 Ribeiro, J.C. and Santos, J.F. (2004) Portuguese olive oil and the price of regional products: Does designation of origin really matter? NIPE Journal, 3, 1-15. 4 Source: 2017 processing data from Diana Olives, Willunga, South Australia (unpublished). 5 Fleurieu Food Extra Virgin Olive Oil Competition Results 2017. 6 Australian Olive Association Extra Virgin Olive Oil Show Results 2000-14. 8 Lancaster, B., & Foley, M. (2007). Determining statistical significance for choose-all that-apply question responses. Seventh Pangborn Sensory Science Symposium, Minneapolis, USA. 9 Piroddi, M. et al. (2017) Nutrigenomics of extra-virgin olive oil: A review. Biofactors, 43, 17-41. 10 Gawel, R. and Rogers, D.A.G (2009) The relationship between total phenol concentration and the perceived style of extra virgin olive oil. Grasas y Aceites, 60, 134-138. 11 Lou-Bonafonte et al. (2012) Efficacy of bioactive compounds from extra virgin olive oil to modulate atherosclerosis development. Mol. Nutr. Food Res., 56, 1043-1057. 12 Spanova, M. and Daum, G. (2011) Squalene – biochemistry, molecular biology, process biotechnology, and applications. Eur. J. Lipid Sci. Technol., 113, 1299-1320. 14 Horticulture Innovation Australia (2017) Olive Strategic Investment Plan 2016-2021. 15 International Olive Council (2017) Guide to good practice in geographical indications. 16 Menapeace, L., Colson, G., Grebitus, C. and Facendola, M. (2011) Consumer preferences for geographical origin labels: Evidence from the Canadian olive oil market. Eur. Rev. Agric. Econ., 38, 193-212. The project is funded by the Farm Co-operative and Collaboration Program (known as Farming Together) which is a two-year, $13.8m initiative from the Australian Government designed to help agricultural groups value-add, secure premium pricing, scale-up production, attract capital investment, earn new markets or secure lower input costs. The Farm Co-operative and Collaboration Program is being delivered by Southern Cross University on behalf of the Australian Government. Seeding funds for the project were kindly provided by Olives South Australia, The Queensland Olive Council and the South East Queensland Olive Growers Association. We would also like to thank the olive growers who took the time to provide olive samples and were involved in the training required to undertake the sensory analysis and to understand and correctly interpret the chemistry required to determine DO classifications of EVOO.